When an iPhone cannot restore from a backup, there is the potential of serious data loss. Therefore, this problem can be both crippling and very hard to fix. Fortunately for you, we have a few solutions that may work in your favor. 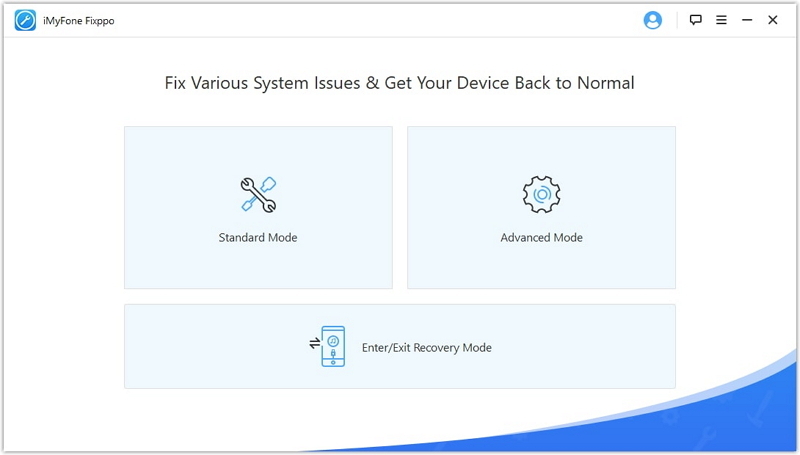 More often when you have a problem restoring a device, it is a software related issue. Third-party iOS system recovery tools are really good at fixing these software issues that all other methods can miss. One of the best at this task is iMyFone iOS System recovery mostly because it is very easy to use and quite reliable. The following are just some of its other features. It is a good investment for any iOS user since it can be used to fix a wide range of iOS related issues including a device stuck in recovery mode, a device stuck on the Apple logo or one that just won’t function as it should. It is also quite easy to use as we have already seen as well as fast and highly effective. It guarantees that your device will be fixed without any data loss, a factor that should put your mind at ease. 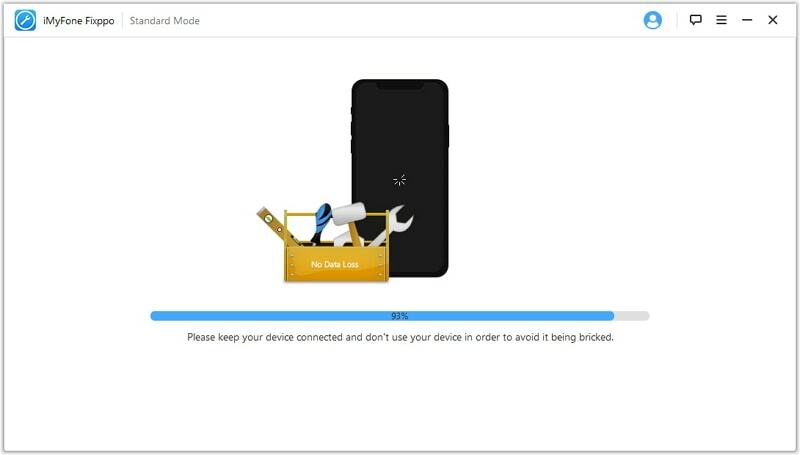 Here’s how to use iMyFone iOS system Recovery to fix your device. Step 1: Download and install the program to your computer and then launch it. Click “Standard Mode” to begin. You will then be required to connect the problematic device to the computer using USB cables. 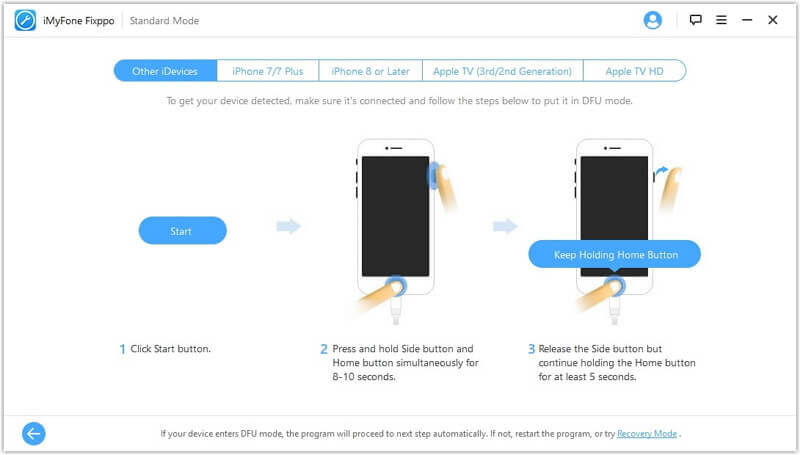 Then put your device into DFU mode or Recovery Mode as instructed. Step 2: You may also be required to install the latest firmware on the device. The program will have already detected the firmware you need. Just click “Download” and wait for the download process to be completed. 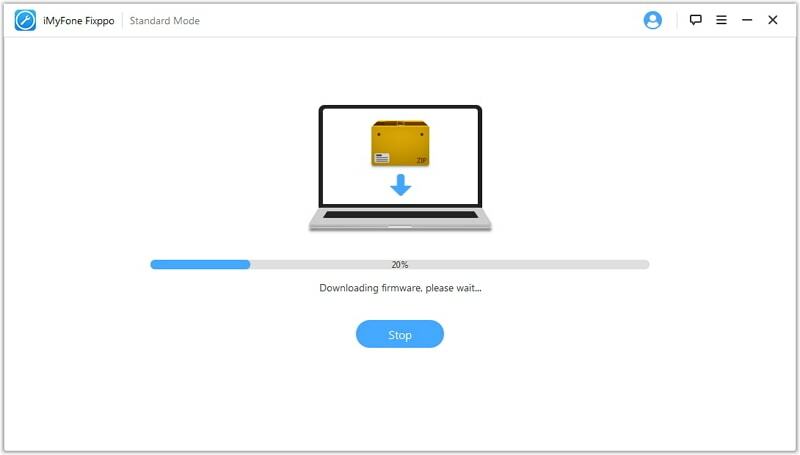 Step 3: When the firmware has been downloaded, the program will begin fixing the device once you click "Start to Fix". A few minutes later, the device should restart in normal mode and you can try again to restore your iPhone. Another possible solution to this problem is putting the device into recovery mode. It may not work for everyone, but it is worth a try. Here’s how to do it. Step 1: Turn off the device. Press and hold down the on/off button and the Swipe the “Slide to Power Off” confirmation to the right. 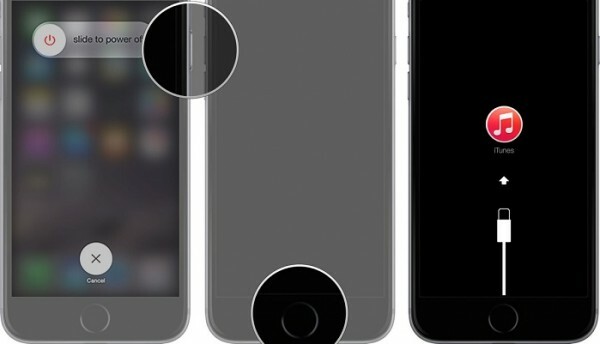 Step 2: Press and hold the Home button (Volume Down button for iPhone 7 users) and then plug the device into your computer. Make sure that iTunes is running. Step 3: iTunes will display a message saying it has detected a device in recovery mode. Let iTunes restore the device and the problem should be gone. You could also try to put the device in DFU mode if recovery mode doesn’t work. The following steps should guide you. Step 1: Connect the device to the computer and then launch iTunes. 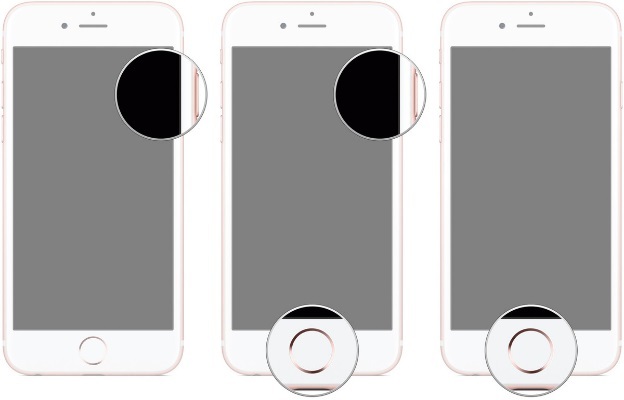 Step 2: Press and hold the Sleep/Wake button and the Home (Volume Down for iPhone7) together for 8 seconds. Step 3: Release the Sleep/Wake button after 8 seconds and you should see a message that iTunes has detected a device in recovery mode. Step 4: Now let go of the Home (Volume Down) button and if you’ve done it right, the device’s screen should be completely black. If it’s not, start the process over. Step 5: Allow iTunes to restore the device while it is in DFU mode and hopefully the problem should be fixed.